Comfortable and stylish, cozy, & soft, the Elizabeth Arden Spa Collection Luxe Percale Sheets are a great addition to your bed-room. These will give your home beautiful color and texture. Machine Washable - you can wash it over, and over again and it remains colorful and soft. Light-weight designed, hypo-allergenic sheets means that you get premium comfort. PREMIUM QUALITY: Crisp, cool and luxurious, breathable, Elizabeth Arden Luxe Percale™ sheets feature specially woven ultra-fine cotton sateen for ultimate comfort. 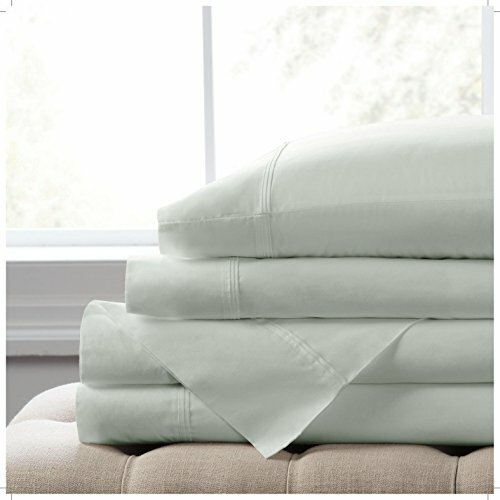 FINEST MATERIALS: Luxurious 100% ultra-fine long staple combed cotton percale. TRUSTED DESIGN: From the most trusted name in beauty for over 100 years, the Elizabeth Arden Spa Collection of bedding will add an elegant look to your home. Exquisitely designed with the highest standard of excellence, for long-lasting quality. If you have any questions about this product by Elizabeth Arden THE SPA COLLECTION, contact us by completing and submitting the form below. If you are looking for a specif part number, please include it with your message.